Attention parents of all third graders! 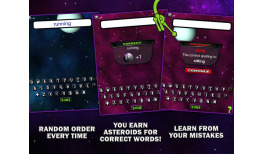 This spelling app is for you! 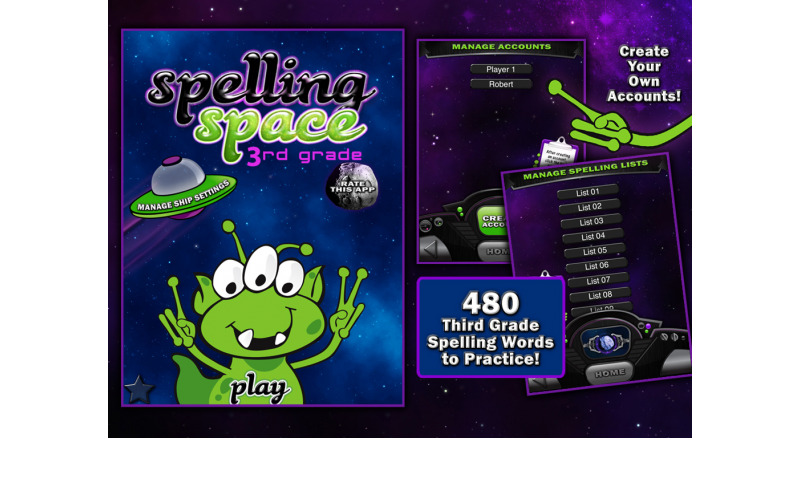 Spelling Space - 3rd Grade includes 480 pre-recorded lists of high frequency words perfect for students in the third grade. Exact lists that were given in an actual elementary school have divided these words. 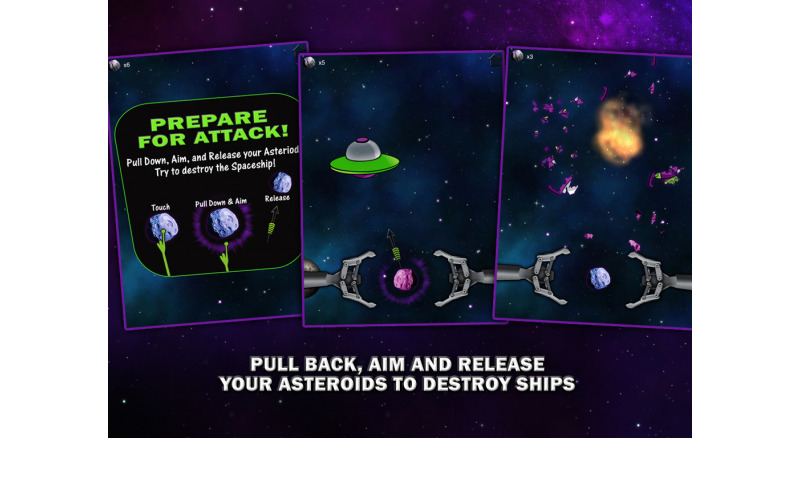 This educational app is available on all tablets and is ideal for the Kindle Fire and Color Nook. 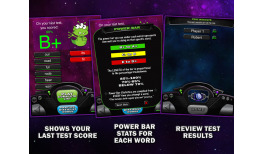 If you’re tablet has a microphone, check out Spelling Space Ultimate to record your own lists! 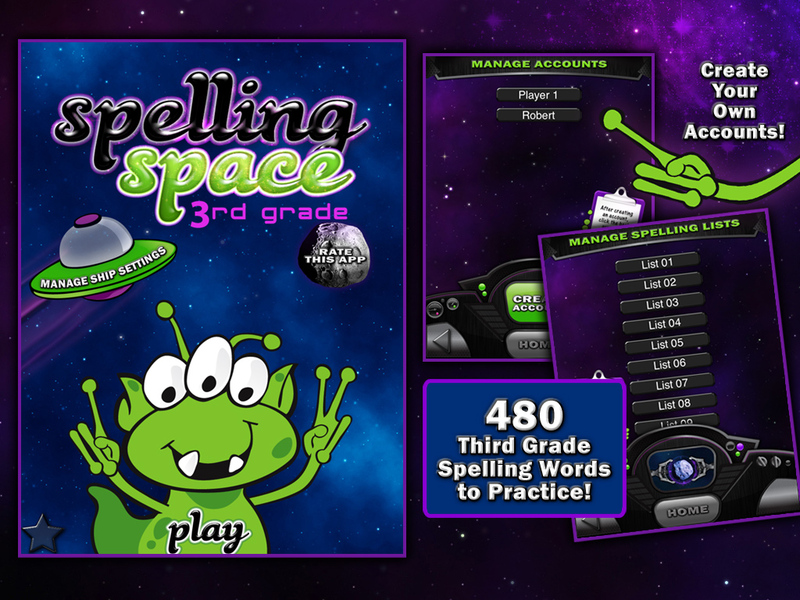 480 pre-recorded spelling lists; recorded in an actual teacher’s voice! 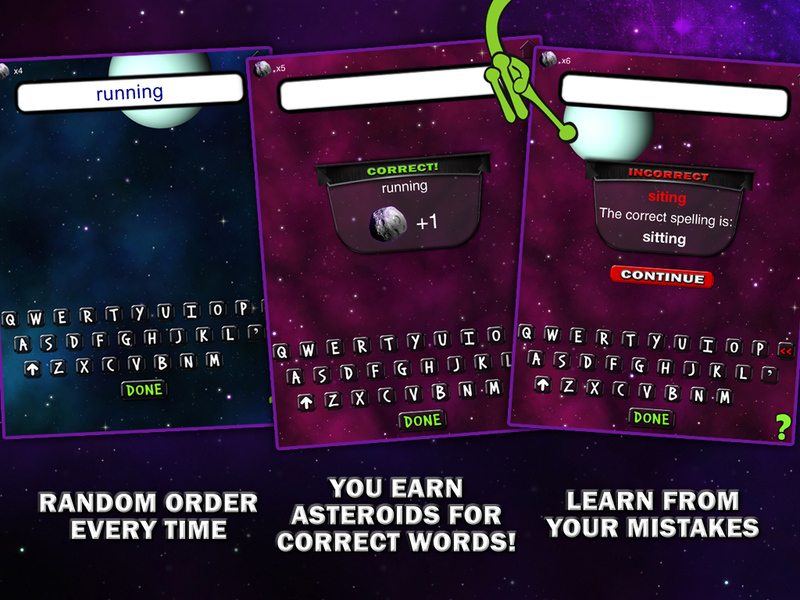 By spelling words correctly, you’ll earn asteroids so during intermission you can fire asteroids at flying spaceships! 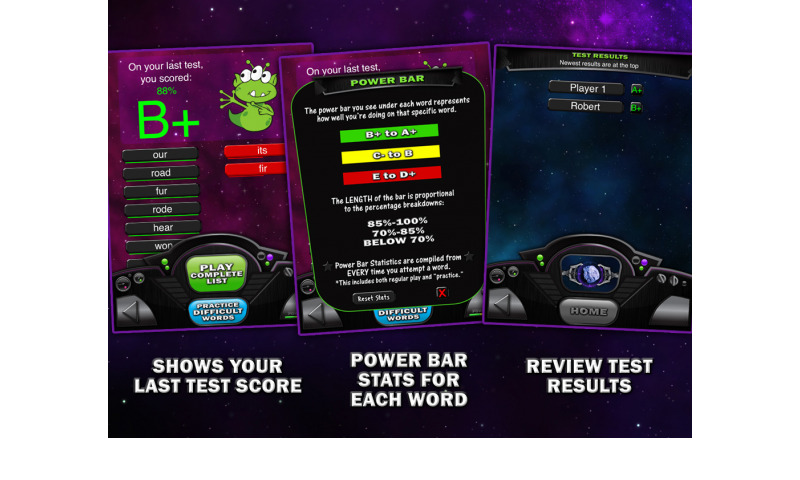 Kids can focus on the ‘entire list’ or ‘difficult words’ which practices specific words they may be struggling with. 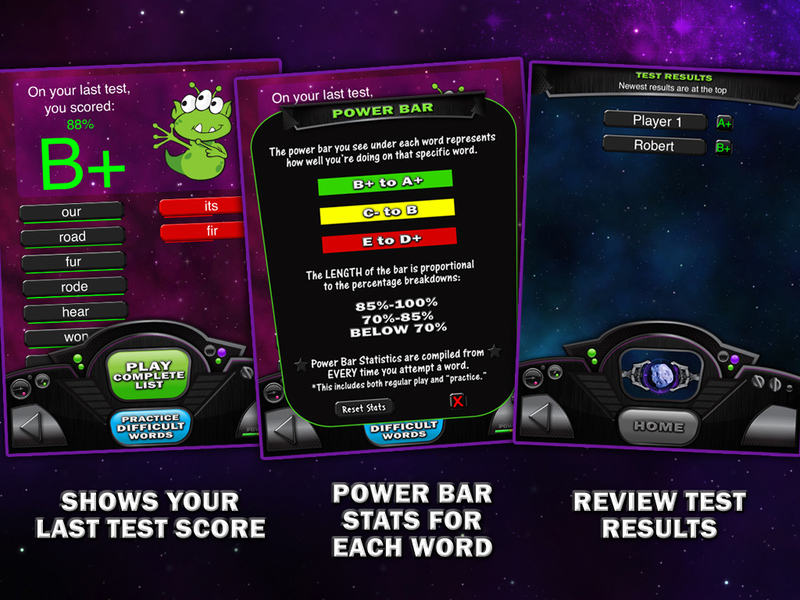 Use power bar to track percentage of words spelled correctly on their given list. 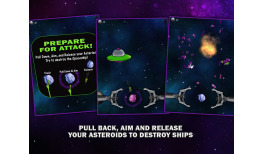 Create as many accounts as you’d like! 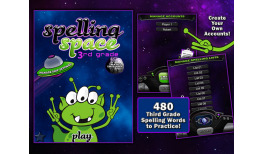 After completing a spelling test, view a full report and the grades your child scored. 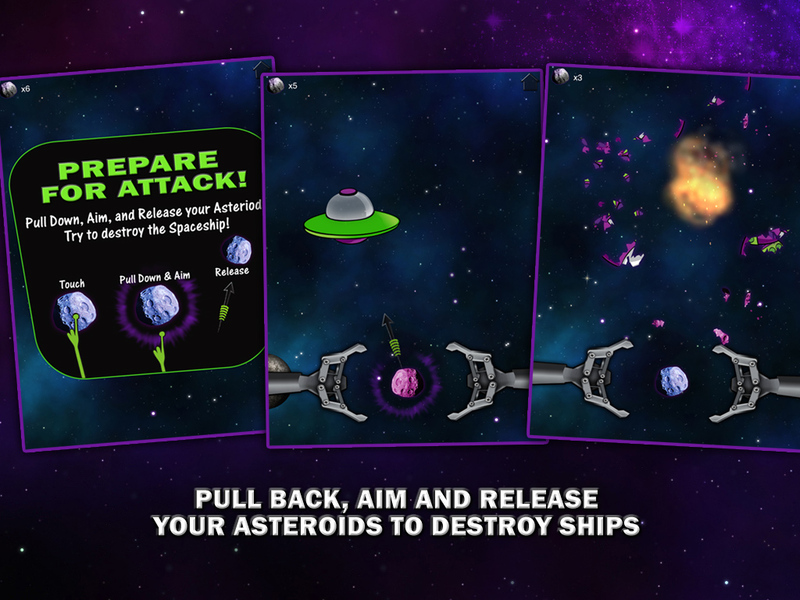 Vibrant, fun graphics! 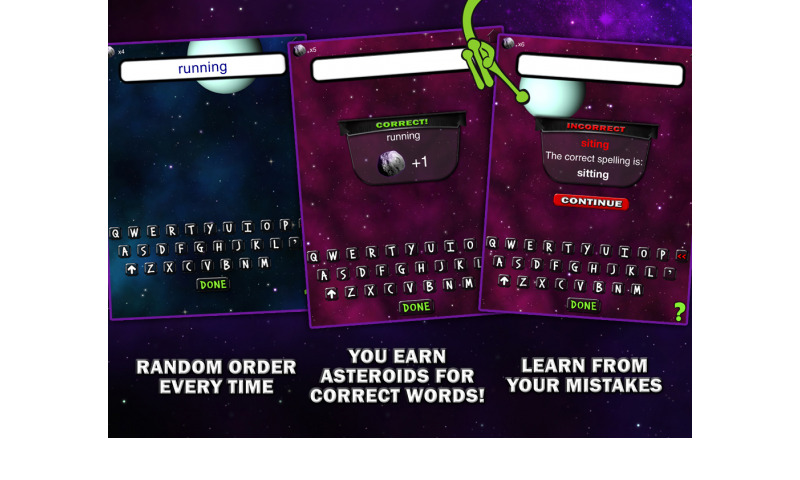 Always a fun way to practice spelling!